Welcome back to the blog ! 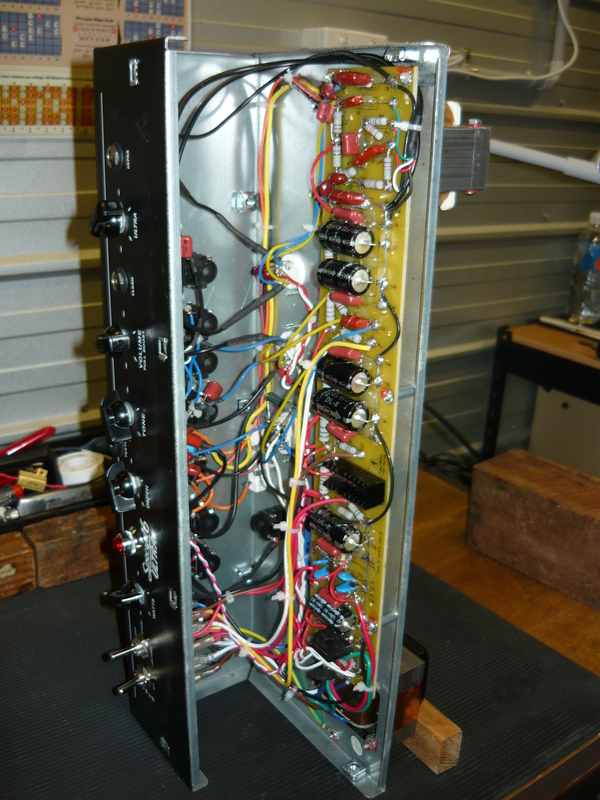 Back on December 7th 2012, we published a blog describing repairs to a VHT Pittbull Classic valve (tube) guitar amplifier. The Pittbull was a 3-channel, 100 watt monster built about 20 years by the original VHT amplifier company in the USofA. 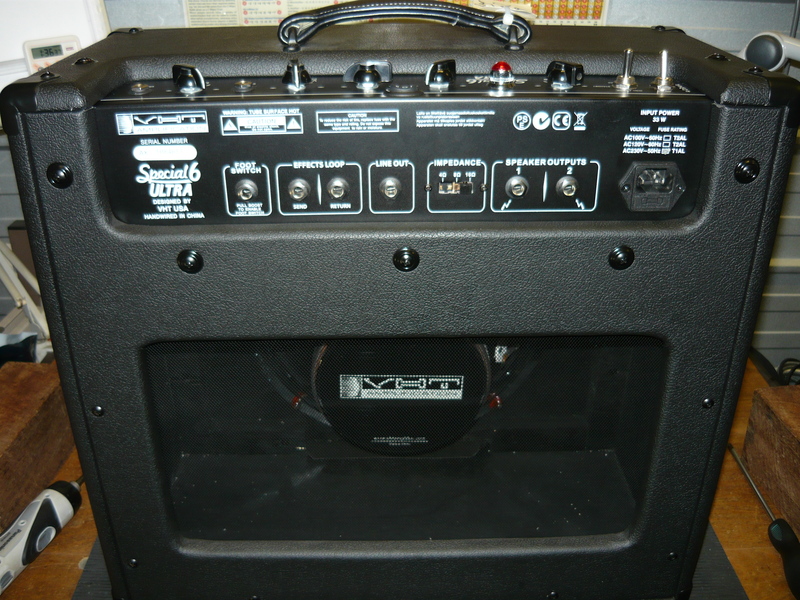 Since then, the original owner sold on the rights to the VHT name, and the modern VHT amp is made in China, and is generally a much lower powered amp. 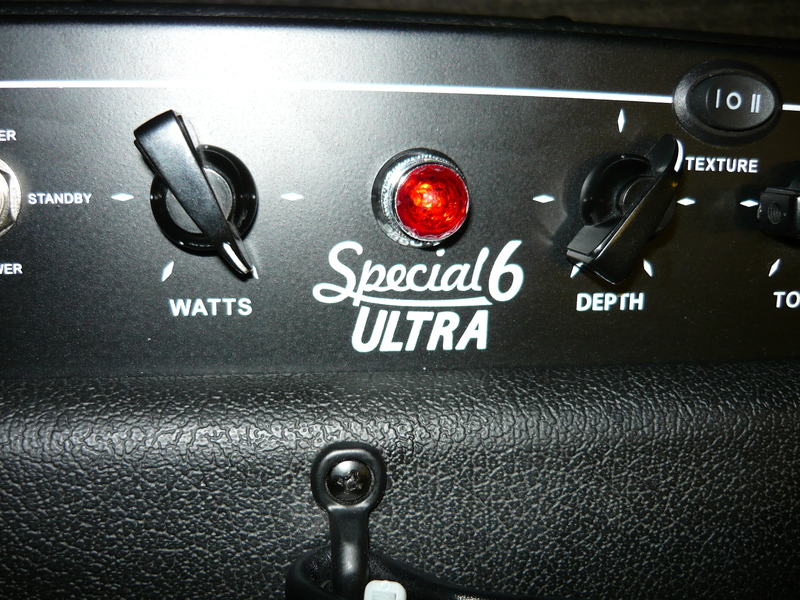 We recently repaired a VHT Special 6 ULTRA for Steve, a regular customer. This amp is loosely based on the well known Fender “Champ”, but features an additional 12AX7 gain stage, with the inclusion of separate low-gain & high-gain input jacks, so the player can bypass the high gain stage, and also an output attenuator and additional tone shaping switches. The power amp is the traditional single-ended 6V6 valve output stage, employing cathode-bias, ie the amp is self-biasing. Power output is 5 watts @ the onset of clipping. The speaker is unfortunately only a cheapo Chinese unit, but the cabinet is much more generously proportioned than many other similar amps, so we would assume that upgrading to a quality replacement speaker would result in much improved performance, particularly ref the lows & low mids. Another obvious upgrade would be the valves themselves, which is where this blog is heading. The stated fault on this amp was “it just stopped”. The external & internal fuses were not blown, and the DC voltage conditions appeared normal, but the output stage was non functional. We soon realised why. The Chinese 6V6 had gone S/C (short-circuit) internally, destroying the 470 ohm cathode-bias resistor in the process, which acted like a fuse. The chassis in this model is folded in a U-shape so getting to the parts of the circuit you need to get to with a soldering iron is time consuming, adding to the cost of repairs. However, by dropping out the octal socket and twisting its position we could remove the blown resistor and install a replacement W22 series 7 watt ceramic body 470 ohm, our preferred type for demanding conditions. While we had the chassis out we took the time to correct a few “dry” solder joints, which would have caused intermittent problems in the long-term. We can confirm that these amps are actually “hand-wired” in China, and the quality of assembly is no worse than what we are seeing from the major guitar amp manufacturers. Naturally, the larger hardware items such as transformers, speaker, etc, are cheaper units, but this is only what you would expect from a budget amp. 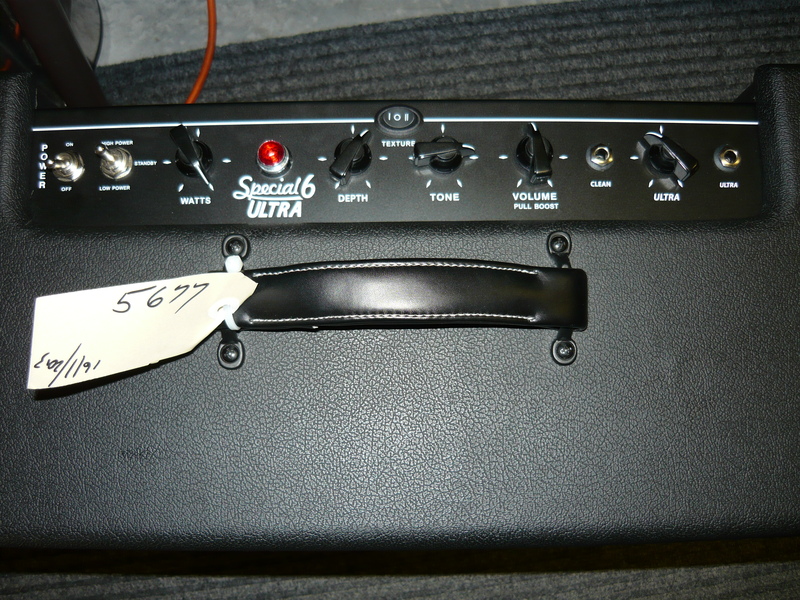 To complete the repair, we installed a new (re-issue) 6V6GT output valve by Tung Sol, one of the best of the current production 6V6’s, plus at Steve’s request we replaced V1 with a 5751 preamp valve. This reduces the preamp gain by about half, allowing a much wider range of clean to crunch tones to be easily obtained. Steve was very happy with the end result. 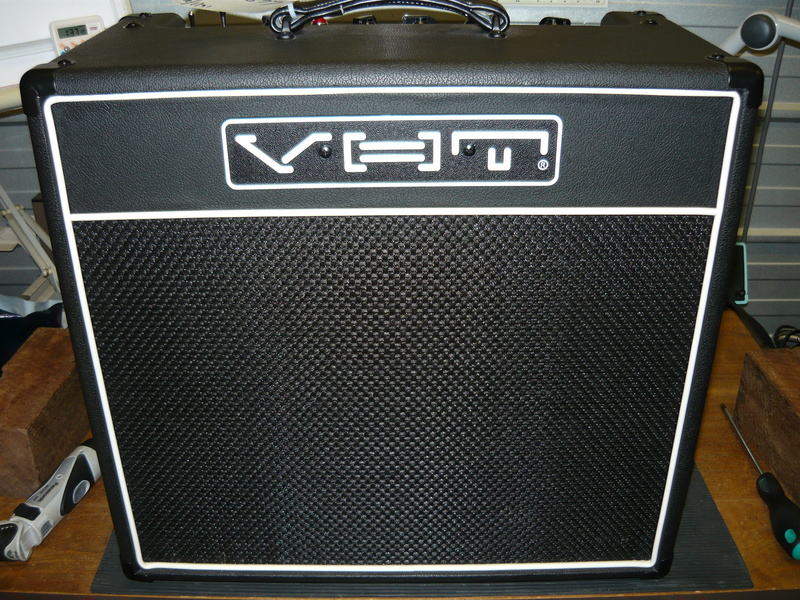 So there we have an example of the contemporary VHT guitar amp. Many thanks to Steve Molenaar for his continued custom & loyalty. IR. 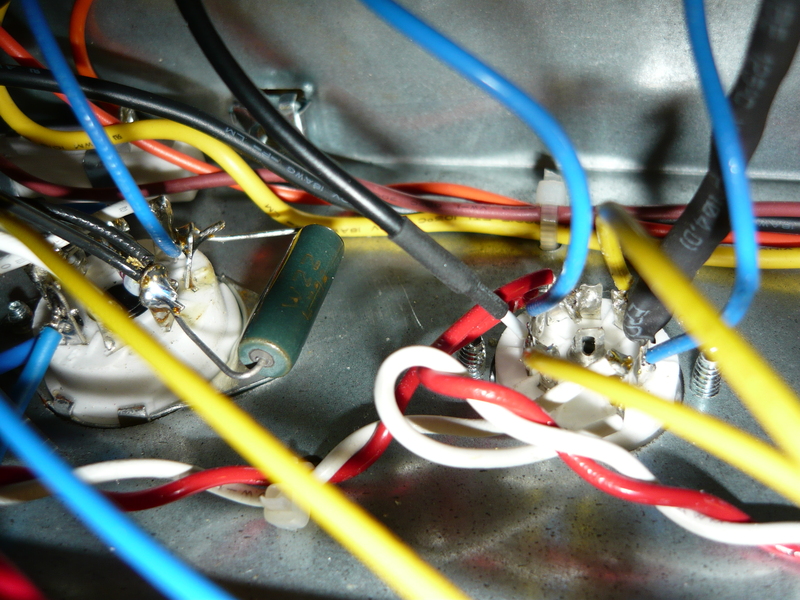 This entry was posted on January 22, 2013 at 3:02 am and is filed under Amp Repair, Amps. You can follow any responses to this entry through the RSS 2.0 feed. You can leave a response, or trackback from your own site.